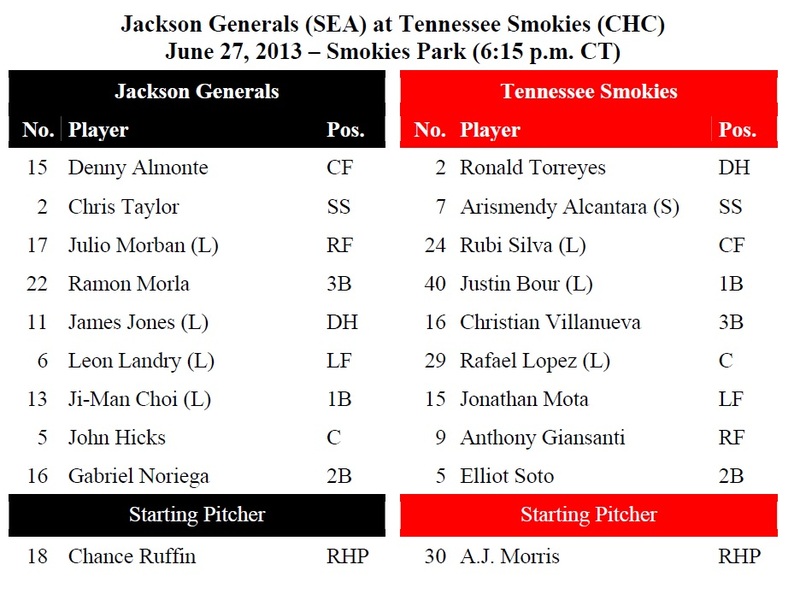 TODAY’S GAME: the Generals look to snap a 3-game losing streak tonight with game #4 of a 5-game road series at Tennessee against the Smokies (0-3)…this is the 14th of 20 meetings between the clubs (3-10) and 2nd series played at Smokies Park… 24-year-old Chance Ruffin makes his 14th career start and 14th of the season tonight. Ruffin is 0-0 with a 5.06 ERA in 2 starts this season against the Smokies. GENERALS RECAP: The Generals lost their 3rd straight game Wednesday, falling 6-0 to Tennessee at Smokies Park. The shutout marked the 7th of the season for Jackson as Smokies’ starter Kyle Hendricks dominated the Generals for the 3rd time this season. Jackson’s best scoring threat was in the 7th inning as LF Leon Landry (2-3, 2 1B), 1B Ji-Man Choi (1-4, 1B), and 3B Steven Proscia (1-3, 1B) had back-to-back-to-back singles to load the bases, but the Generals were unable to score a run. Generals starter LH James Gillheeney (L, 5.1,8,6,6,1,2,1) suffered the loss. Relievers Stephen Kohlscheen and Nick Hill provided 2.2 innings of scoreless relief behind Gillheeney. 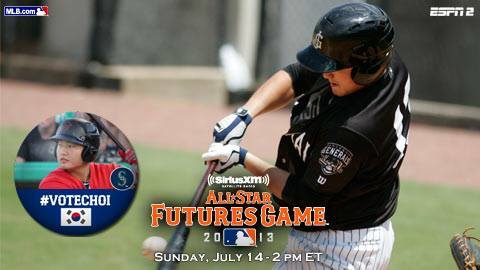 YOU ALREADY KNOW…that 2013 Generals P Taijuan Walker and INF Brad Miller were named to the Futures Game yesterday, but DID YOU KNOW?…that since 2007 there have been 7 Jackson players named to the Futures Game (P Phillipe Aumont, OF Michael Saunders, INF Alex Liddi, OF Carlos Peguero, P Danny Hultzen are the others).